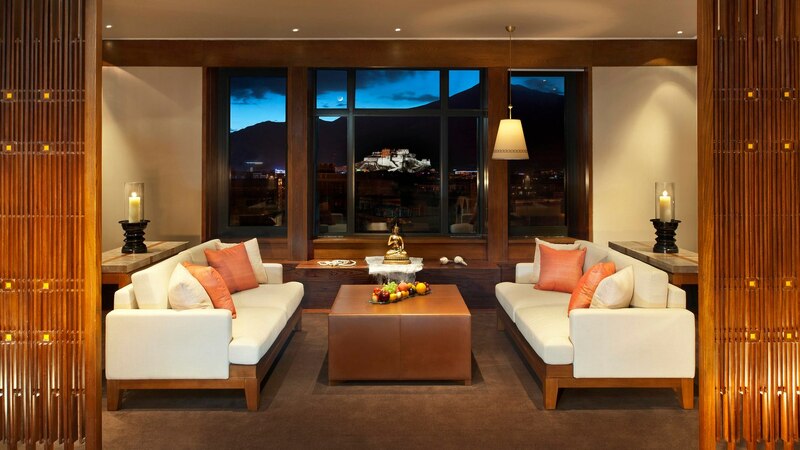 Chic and well-appointed guestrooms, spa treatments inspired by Tibetan healing methods and unbeatable views overlooking the Potala Palace await at this refined, luxury resort in Lhasa. 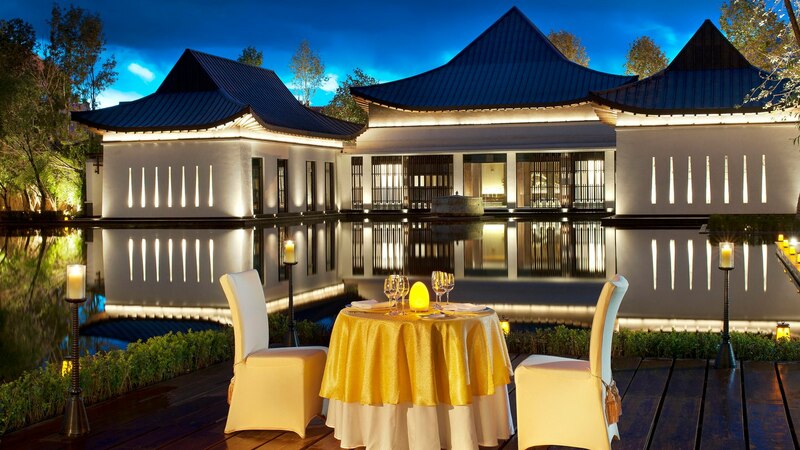 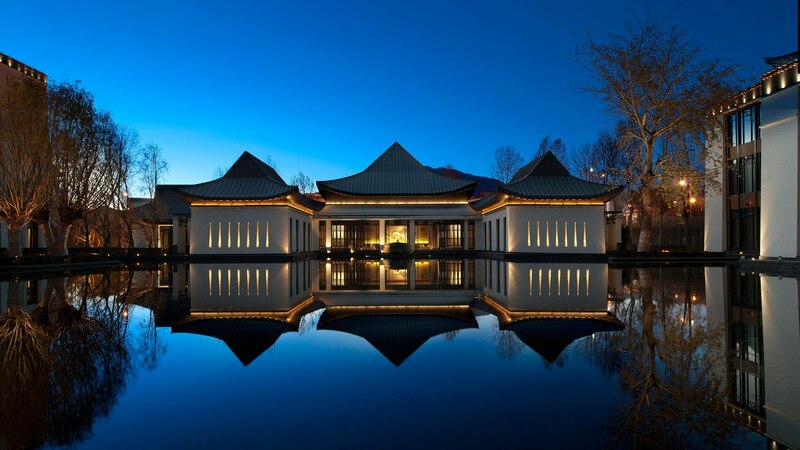 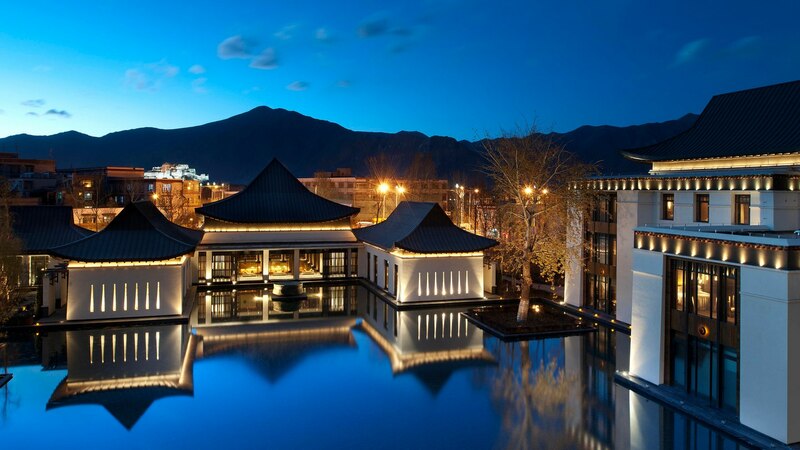 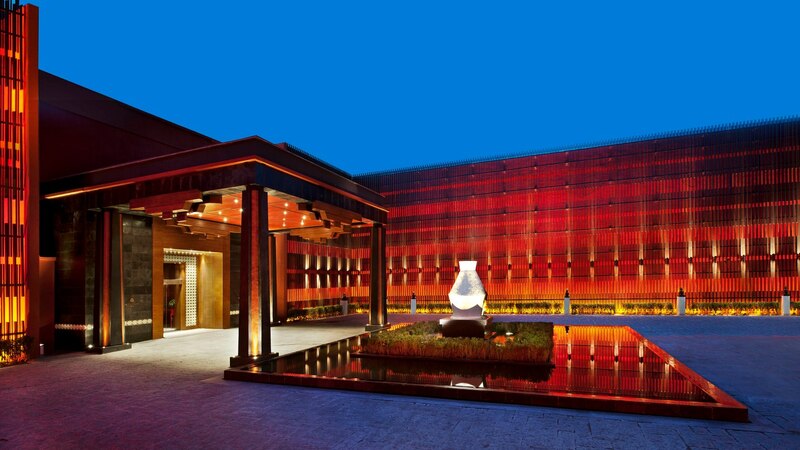 The St Regis occupies a fantastic location surrounded by timeless landscapes in the ancient city of Lhasa. 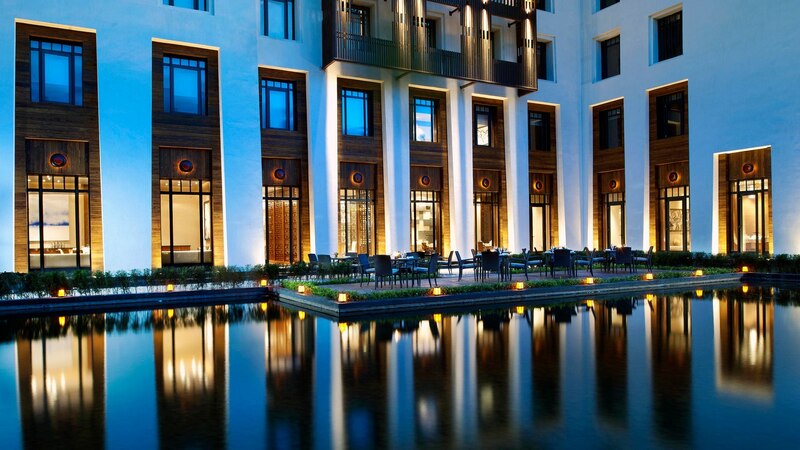 Not only does it face the magnificent Potala Palace, former residence of the Dalai Lama, it also offers easy access to the Sera Monastery, iconic Jokhang Temple, World Heritage-listed Norbulingka and the colourful markets of Barkhor Street. 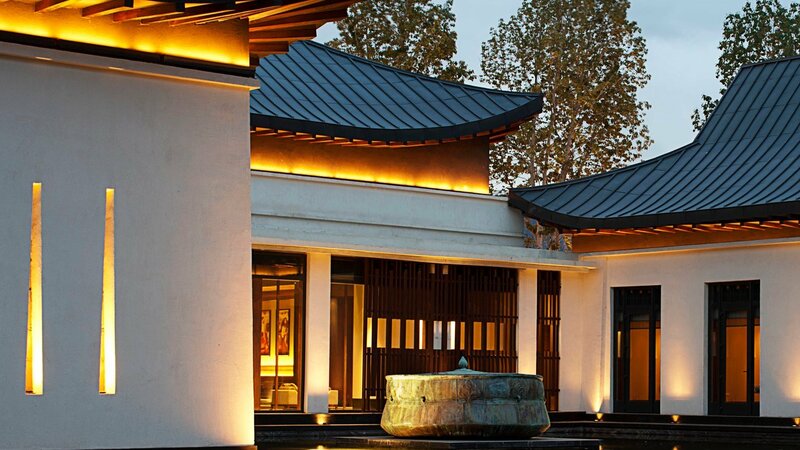 Perfectly positioned for exploring, guests can unwind after a long day in the peaceful meditation garden or with a personalised treatment at the Iridium Spa. 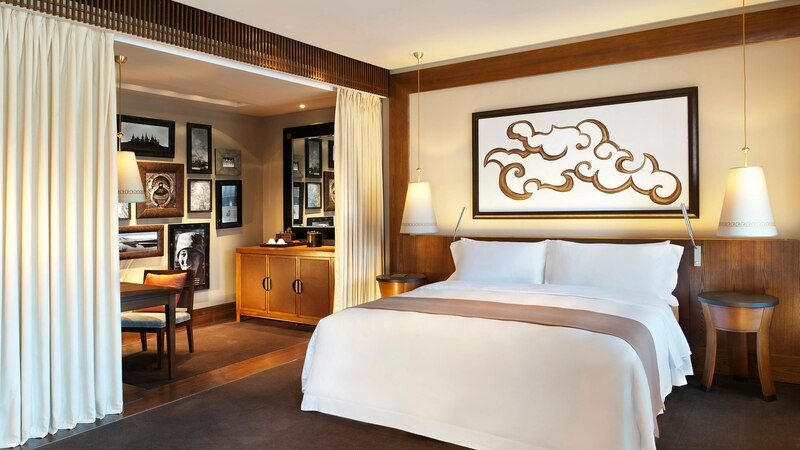 199 inviting guestrooms, 45 of which are suites, are thoughtfully appointed and provide visitors with every modern comfort. 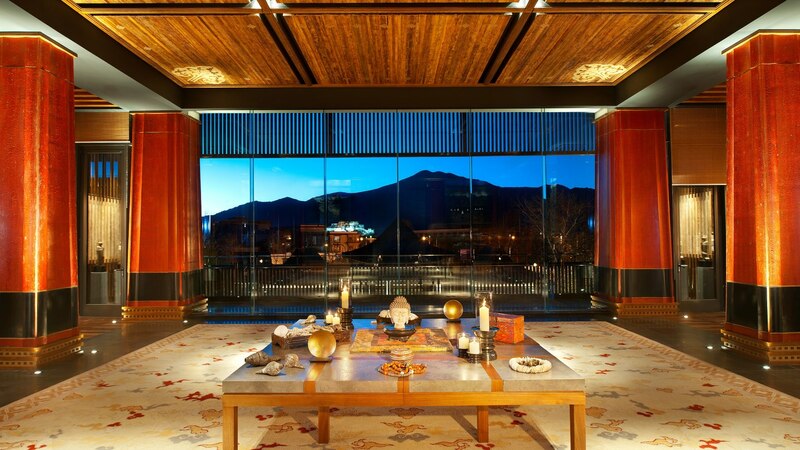 Décor is simple yet elegant, inspired by Tibetan culture and fitted with custom furniture, wood accents and lattice work. 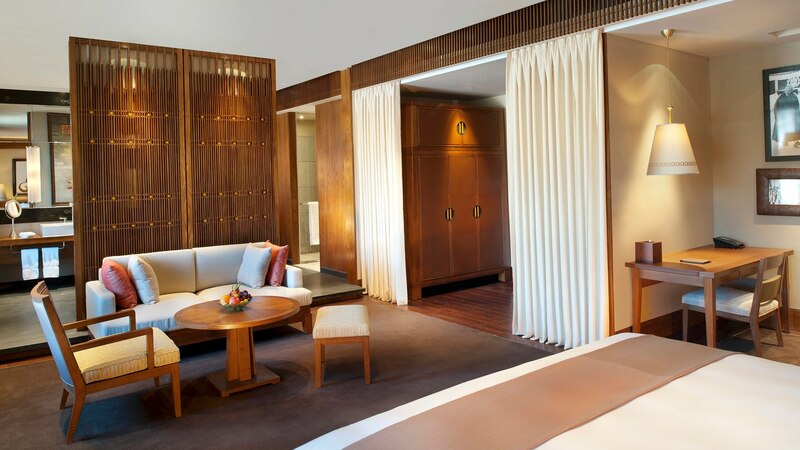 Bathrooms are spacious and feature separate showers and tubs, dual vanities and heated slate floors. 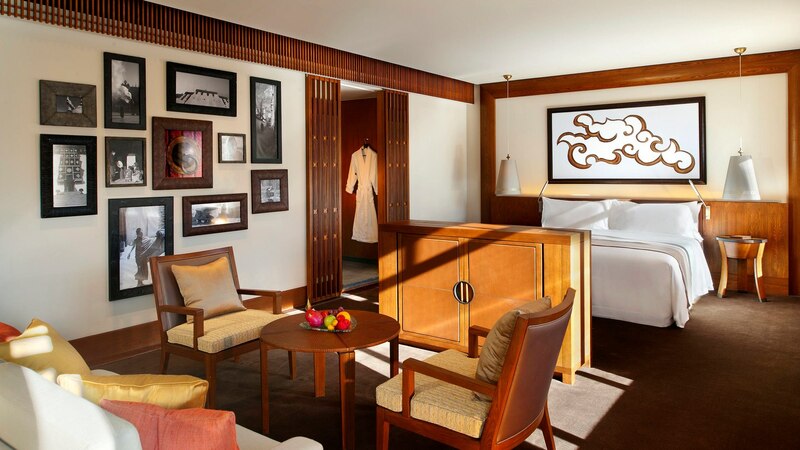 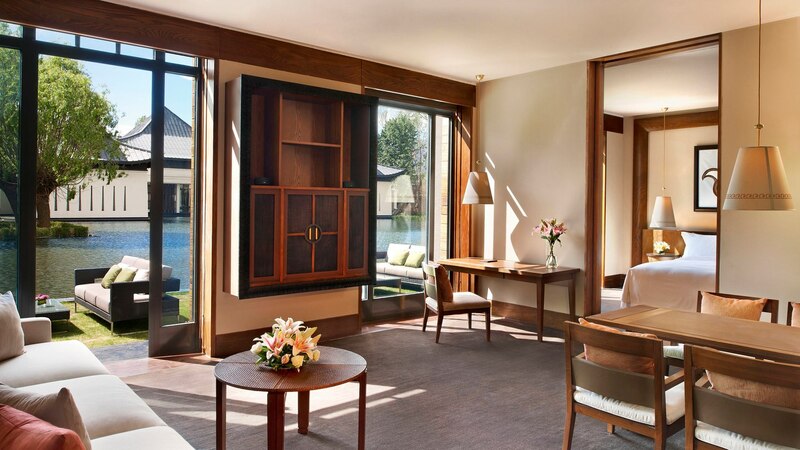 To top it all off, each room provides its occupants with a glorious view of either the Potala Palace, cityscape or the resort's pretty gardens and lake.